Chart a whole new course for your data. 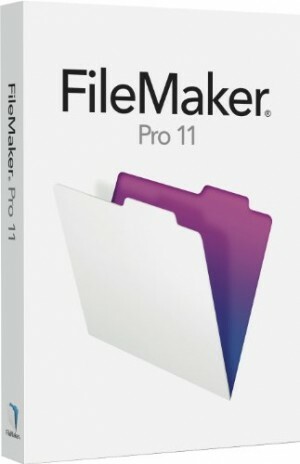 FileMaker Pro 11 comes with brand new features to help you create eye-catching reports, boost your productivity, and build better databases.FileMaker Pro is powerful, easy-to-use database software that helps you and your team get any type of task done faster. 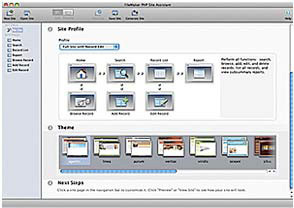 Millions of people in business, government, and education use FileMaker Pro to effortlessly manage all their information on Windows, Mac, and the web. If you have FileMaker Pro 10 or 9, you are eligible for upgrade pricing on FileMaker Pro 11. Attention FileMaker Pro 8.5 and 8 users: you are eligible for upgrade pricing until Sep. 23, 2010. * Limited time offer; after Sep. 23 2010 purchase full version for US9. 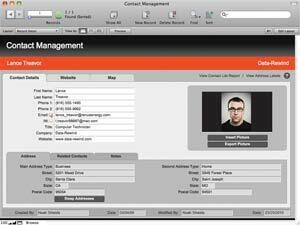 As of September 23, 2010, technical support and replacement media will no longer be available for any FileMaker 8.5 or 8 products. Create custom databases for your own unique needs. Click to enlarge. Securely publish your databases to the web in a few clicks. Get step-by-step reporting tools to help you manage and automate your tasks. 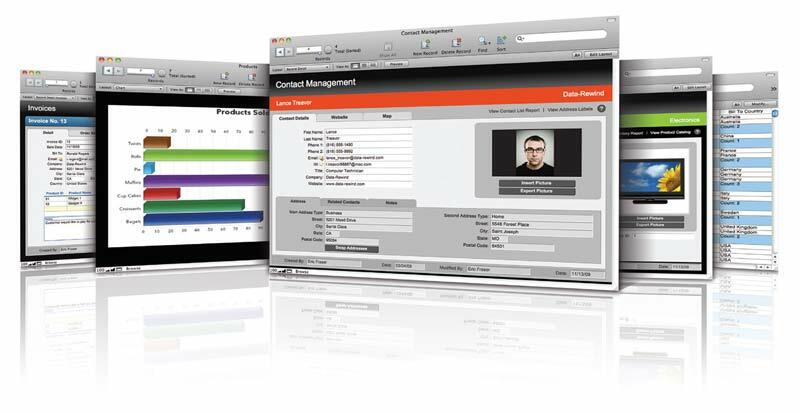 FileMaker Pro 11 comes with brand new features to help you create eye-catching reports, boost your productivity, and build better databases. Charts using bar, line, area, and pie charting styles. Make reports in a familiar spreadsheet-like format, or build customized reports with the improved Layout/Report Assistant. Set up Recurring Imports with your Excel or text files. Plus save your data as Snapshot Links to create personal reports or collaborate with other. Boost your productivity every day with new tools to help you build and use your databases more easily including Quick Find, Inspector, Object Badges, improved Quick Start Screen, a new Invoice Starter Solution, and text highlighting. Build better databases faster with new features for the more experienced developer such as Layout Folders, Portal Filtering, scripting enhancements, file security, and variables in find requests and merge fields. Get over 30 professionally designed templates to help manage your tasks in minutes. Build a database tailored for your unique needs. 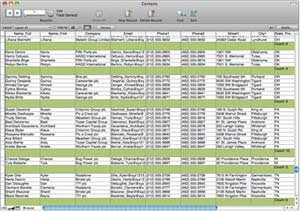 To get started just drag and drop Microsoft Excel data into FileMaker Pro. Get step-by-step reporting tools to help manage and automate tasks. Even easily create and email reports in Excel or PDF. Safely share with both Windows and Mac users. Plus share your databases over a network with up to 9 other users. Securely publish your databases to the web in a few clicks. Create surveys, registration sites, customer feedback forms, and more. Create eye-catching reports using bar, line, area, and pie charts. Create reports in a spreadsheet-like format. Group and summarize data on the fly. Automatically import Excel and text files every time you open your database. Search for information just as you would in a web browser. Manage your layout tools all in one convenient place. Organize layouts into folders with easy drag and drop. FileMaker Pro 11 comes with more than 30 ready-to-use Starter Solutions to help you get started fast. Simply open a solution and start adding information, or import your existing data from many popular formats.